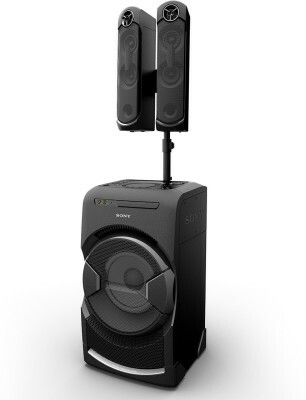 The Sony MHC-GT4D Mini Hi-Fi System is the ideal company to make your parties more happening. It comes with features such as LDAC, and Dolby Digital Sound to enhance your house parties with the right beats. You can also utilize this system as a home-theatre or soundbar to enjoy your favorite shows with better clarity.